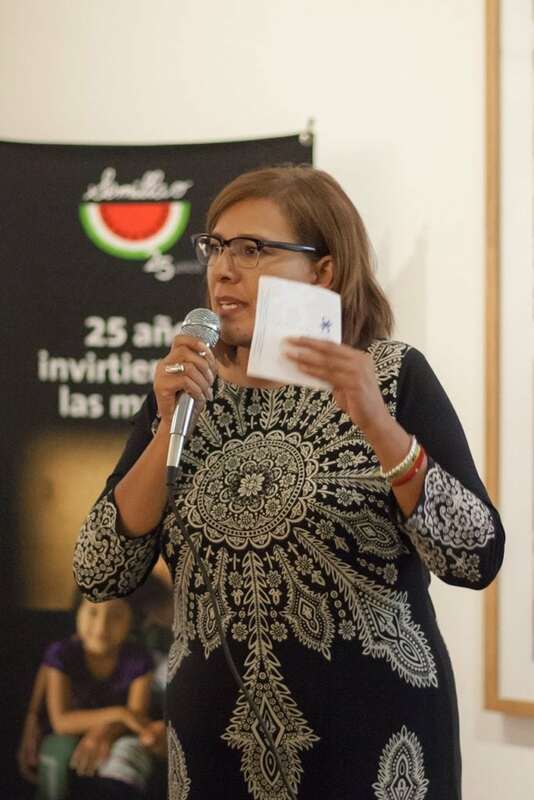 On October 10th, 2016, with full support from civil society, the feminist Veronica Corchado took office as the new director of the Municipal Women’s Institute in Juarez (IMMJ). Her appointment represents a victory for the women’s movement in Ciudad Juarez. Veronica will be the visible face of a broad grassroots women’s movement that brings together 20 organizations and collectives, who for years have performed the tiring labor of generating a public agenda. They have built it from the bottom up, aiming to respond to the issues and needs women face in the city, as well as redeem the memory of murdered and missing girls and women in the entity. 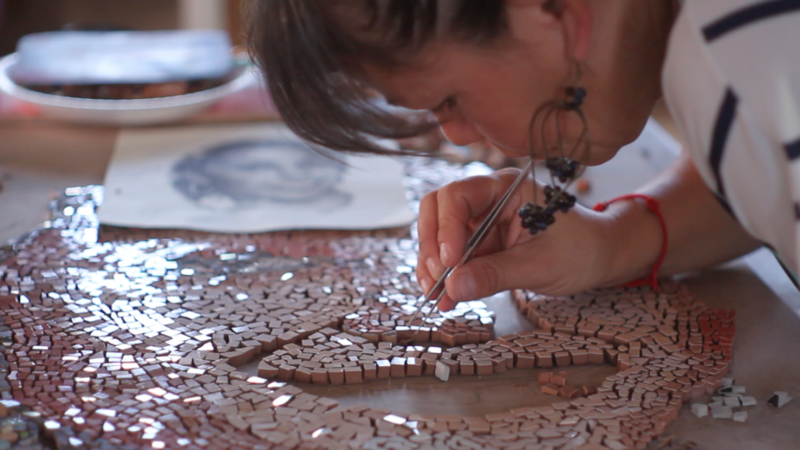 Veronica is a community activist and autonomous artist. She founded Colectiva Arte Comunidad y Equidad (Art, Community, and Equity Collective), supported by Fondo Semillas, and this is the first time in her life that she holds public office. Her role in the movement has been as a convinced community leader, who has defended and promoted women’s rights through street activism. She was born and grew up in the outskirts of Juarez. Her mother arrived from Zacatecas in the 50’s in order to work at the maquila (factory). Her father, from Durango, was an immigrant laborer in the United States and was almost always absent, until her parents split up when Veronica was 9 years old. She taught me the value of collective work among women. She would bring together women from the neighborhood and tell them: ‘look, my husband hits me too, but this isn’t normal. How about this? When he hits me I’ll yell and you guys come over. If you hear screams, come over; when I hear something is happening to you, I’ll defend you.’ I would hear women lamenting themselves and say to myself: wow, I don’t want that life! I don’t want a husband who doesn’t respect his wife, hits her, rapes her, threatens her, and kicks her out of his house. After many years I understood that these situations were related to the lack of infrastructure. Veronica studied at her neighborhood’s first middle school, set up by nuns who were inspired by Liberation Theology. “There, I understood that the poverty I was living wasn’t normal; that I could make adjustments in my life, but I had to do something.” At 16 she began her first community project: a soccer field. Although she wasn’t interested in sports, she considered it would help keep young men and women from using drugs, which were already circulating in the area. That was how, with a group of peers, she founded her first civil organization that worked with youth in her neighborhood. Afterwards, Veronica was involved in what she felt most passionate about: the arts. After attending a public protest that included outstanding artists from Juarez, Veronica became part of the rising grassroots movement that saw culture as a means for social welfare. Among other things, for example, they promoted the first orchestra in the city. 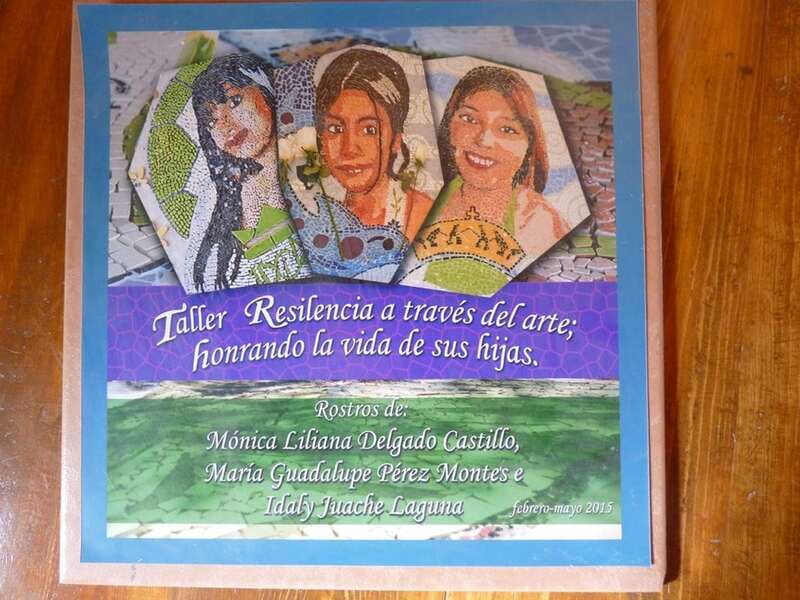 “My Life in Juarez”, a testimonial narrative initiative, arose from this movement and included literary workshops where women learned how to narrate in their own words what they were living and enduring in the tough context of the city. Based on this experience, Veronica identified the need to “work from the arts and the community – two elements that are central to people’s lives – a method that includes citizen engagement and a model for community attention”. Thus, with the support of Fondo Semillas, she coordinated the creation of La Promesa (The Promise), in one of the areas that has been most affected by poverty and drug related violence and has also become a hot button for increased disappearances, sexual abuse, as well as violence against children and women. La Promesa is a community art center. What stands out the most is how women who have faced the disappearance and murder of their daughters have strengthened their endurance through the creation of murals. Through this work, mothers are able to reconstruct the living faces of their daughters and give themselves the opportunity to cherish them and say good-bye, through a work of contention, reflection, and collective mourning. Fondo Semillas' financial support allowed them to train community promoters who could permanently stay in the area, perform an assessment, learn about their community, and establish the first relationships that were then consolidated as the group of women working on art at La Promesa. Now in her public charge, Veronica is presenting a crosscutting and inter-institutional proposal in order to consolidate a holistic care model that may be replicated in different places. Based on her own experience and that of other women, she aims to trigger an adequate government intervention, based on a community agenda, built by the women themselves. One of her priorities is to establish a space for granting attention to women in the downtown area of the city; an area the government has a historical debt with. She also plans to promote and establish a Feminine Café: “A coffee place with books where young women may go to read and talk, but with human rights promoters who may generate and guide conversation; thought of as a model that will generate networks of solidarity and kindness that may allow us to support each other as women”. "Art allowed me to generate a mirror, a window, in order to say yes, I may do things differently. It allowed me to think that I didn’t have to become a statistic of crime; I could aspire to a life free from violence. Art saved me […] on my family’s side two people have disappeared. Throughout my life I’ve suffered important loss, but I don’t want to give up. I do grieve those people, but I recover every day. I think this will be a wonderful day, and even though death remains beside me, even if it means going against the current, I have always believed that I have a mission to fulfill: that as women we may lead a better life." You can make more possible stories like that of Veronica. Donate here.